Can brothers who share one life share one love? Since the tragic accident that changed their lives forever, brothers Nigel and Caleb have been inseparable—until one woman captures both of their hearts. Thirteen years ago, Nigel and Caleb lost their parents in a terrible accident. Today, Nigel is a thirty-five-year-old college professor, while Caleb, a reclusive twenty-nine-year-old, doesn’t know a life beyond the walls of the house they share. Caleb developed an extreme case of agoraphobia—the abnormal fear of public places— and psychogenic amnesia after the accident that killed their parents. But things are about to change. Unexpectedly, and for the first time, Nigel finds himself falling in love. He tries to keep Karen, his new love interest, a secret, but it doesn’t take Caleb long to discover what’s going on. So what does Caleb do when he finds out about Karen? He falls for her, too. As the brothers’ tight-knit relationship faces increasing pressure and the love triangle intensifies, mysteries surrounding the tragic accident also begin to unravel, bringing the story to a shocking climax. With equal doses of suspense and romance, Our First Love is a bittersweet drama about the pain of loss and the thrill of new love. A week ago today, the front page of the Capitol Sentinel blared, Aman Tops Polls in Governor’s Race. And, I was predicting the next day’s front page would howl, Aman Commits Suicide, while the sidebar wailed, Reporter Tried to Stop Shooting. My left eye twitched as I stood in the doorway staring at the dispirited body slumped over in a wicker chair facing the window. The corpse was dressed in Barney’s trademark navy blue suit, white shirt, and garish red tie, but the forty-two-year-old dynamo that inspired swarms of complacent adults into social and political activism was not there. I didn’t expect Barney to be home when I rushed inside his voguish chateau on a cul-de-sac in Northwood Plantation. Barney was taking off as soon as the phone went dead. I wasn’t at my desk when Barney called; my editor, Lillian Faulk, answered the phone. I was sitting in the lounge watching Oprah and eating a late lunch when Lillian summoned me over the intercom. “Nigel. Nine-one-one at your desk. Now!” I sensed the panic in her voice. Bobby Leno, the newspaper’s managing editor, and Russell Lane, city editor, stood behind Lillian. It was Russell’s idea for Bobby to temporarily pull me away from features to write personality profiles of Florida’s gubernatorial candidates. I wasn’t overly thrilled about the assignment, but as usual, I agreed without complaining. He didn’t respond, but somehow I could hear him contemplating what to say. Barney’s two lives collided yesterday, but I couldn’t tell Russell or Bobby or even Lillian about the manila envelope that had landed liked a missile on my desk. They’d never understand why I didn’t say anything about the document inside the envelope or why I’d stopped by Barney’s house after work and given him the envelope and its contents. Bobby would’ve fired me on the spot if he knew that I’d turned my back on the biggest political news story to hit Florida’s capital city since Governor Charlie Crist announced his candidacy for the United States Senate instead of seeking another term as Governor. After the 2008 presidential election, the public called for change, and Barney answered the call. The son of a former congressman, Barney made his first foray into the world of politics. Even though he was a newcomer, the last-minute announcement of his bid for Governor was met with enthusiasm and hype. Four weeks later, several statewide polls indicated the former star collegiate linebacker was his party’s top candidate and, of the seven party candidates, the only one strong enough to win the gubernatorial race. It was apparent, even after his unremarkable two-year stint in the National Football League, that Barney had the makings of a leader. Charisma, good looks, and candor were inherent attributes that made Barney a beacon for voter adoration, media attention, and territorial backlash. A framed photo of Barney and his parents was on the corpse’s lap. Part of Mrs. Aman’s face and some of the gold rose petals adorning the frame were covered in her son’s blood. The gun, a black pistol with a silver handle, was on the floor beside his feet. Barney’s shoes? Barney wasn’t wearing any shoes. Where were his shoes? A man like Barney would not go to his death half-dressed. Then, I remembered Barney had two lives, and maybe the Barney I didn’t know was more relaxed and blasé. Lillian tried not to look at the corpse as she stealthily canvassed the room, but I couldn’t help staring at it and answering the questions Caleb would ask when I replayed our day for him. Where did the bullet enter? Below the right eye. Was there a note? A note. A note? Lillian was already two steps ahead of me. She stood by the desk looking down at Barney’s handwritten suicide note. I read the expression on her face. The note left her with more questions than answers. The deputy ushered us out the house and into Sentinel photographer Marc Dunwoody’s front-page snapshot. Russell and Bobby felt that I had become part of the story, so I was no longer the reporter. Now, Lillian was the reporter, and I was expected to be her exclusive informant. “What did you understand?” Lillian yelled to get my attention. Vehicles in the northbound lanes slowed down and pulled off the road as flashing lights and a shrieking siren neared. The ambulance was less than a mile from Barney’s house but, regrettably, a spent hour too late to be of any help. Lillian was right. Without a doubt, the person who had mailed the manila envelope knew. The siren faded and I imagined watching the emergency medical technicians race into Barney’s house. I could picture their shifting faces when they rushed into the library and saw Barney slumped over in the wicker chair. The tall one with the impassive air would turn around, bolt outside, and vomit in the hedges. I was surprised. He had to have worked scenes like this before; he didn’t look like a rookie. His co-worker, who looked ten or so years younger than him, walked right up to Barney. He could tell by looking that Barney had been dead for nearly an hour. He knelt beside the wicker chair. The disenchanted gaze in his eyes labeled him as one of the inspired. He had seen Barney on television and in newspaper photos. He had even met and shook hands with Barney at the city’s Juneteenth celebration last week. He had believed in Barney’s vision for a new, more progressive Florida, and he was going to make it known at the voting booth. And then I imagined watching him scratch his head as his eyes combed the room searching for Barney’s shoes. My brother, Caleb, and I lived on Circle Drive, a busy two-lane road a few blocks south of Apalachee Parkway and the state Capitol. Our house sat on a small almond-shaped bluff about forty yards from Circle Drive. Mammoth oaks, posing sycamores, and high-hat magnolias enshrouded the entire neighborhood under a canopy of trunk-size limbs and evergreen foliage. We moved to Tallahassee and into 207 Circle Drive nine years ago. I arrived here in late July; two weeks after a phone interview with Russell landed me my first professional reporting job at the Capitol Sentinel. Caleb and I both thought it was best if he stayed in Richmond until I found our new home. A realtor showed me the red brick house on the second day of my search. The house was more than perfect. Its physical features were not at the top of our requirements list. We were more concerned about the surroundings. Across the street from our house was Myers Park, a municipal recreation complex with baseball fields, basketball and tennis courts, a playground, and a web of scenic hiking and jogging trails. The neighbors were mostly retired and mid-career college professors and state bureaucrats, the kind of neighbors who kept to themselves or they’re too busy to bother us. And then there’s the narrow creek that snaked through the neighborhood and bound our back yard. When I saw the creek, I knew that this house could be our new home. We brought the black leather recliner and nearly all of the furniture in the house with us when we moved here from our childhood home in Virginia. We packed what was left of our old life in a U-Haul and carted it into this life. The recliner sits by the living room window just as it had before. The framed family portraits hang on the living room and hallway walls in the same order. Neither of us smoked, but Dad’s ashtrays were stationed at their usual posts throughout the house. Mom’s sewing room and the family’s home office shared the den to the right of the living room. There were still three bedrooms: mine, Caleb’s, and our parents’ bedroom. Caleb was in his usual place when I arrived home from work: sitting in Dad’s recliner, staring out the living room window, waiting anxiously for me. I spotted him before I turned into the driveway. When he saw me, a smile galloped across his face. I tried to hide my eyes from his scrutinizing gaze as I got out the car, but it was to no avail. Despair trailed me like a shadow, so Caleb knew something was wrong. He harnessed his smile, then retreated to his bedroom and sealed the door shut. I used my key to unlock the front door. I took a deep breath before turning the doorknob, opening the door wide enough to squeeze inside. As soon as Caleb heard the front door close, he emerged from his bedroom and asked, “So, how was our day?” I wanted to respond but Caleb’s prying gaze unnerved me. I felt naked, exposed. “Don’t tell me it was that bad,” he solicited. His gaze followed me as I walked over to the sofa and sat down. He sat in the black recliner and extended the leg rest. “We went to work this morning and…” he initiated. This was the story of our life. I went out each day and brought back bits and pieces of the world. Then I gave the fragments to Caleb and he reconfigured them into a world that he could live in: a tangential world outside the walls, windows, and doors of 207 Circle Drive. This was our life. 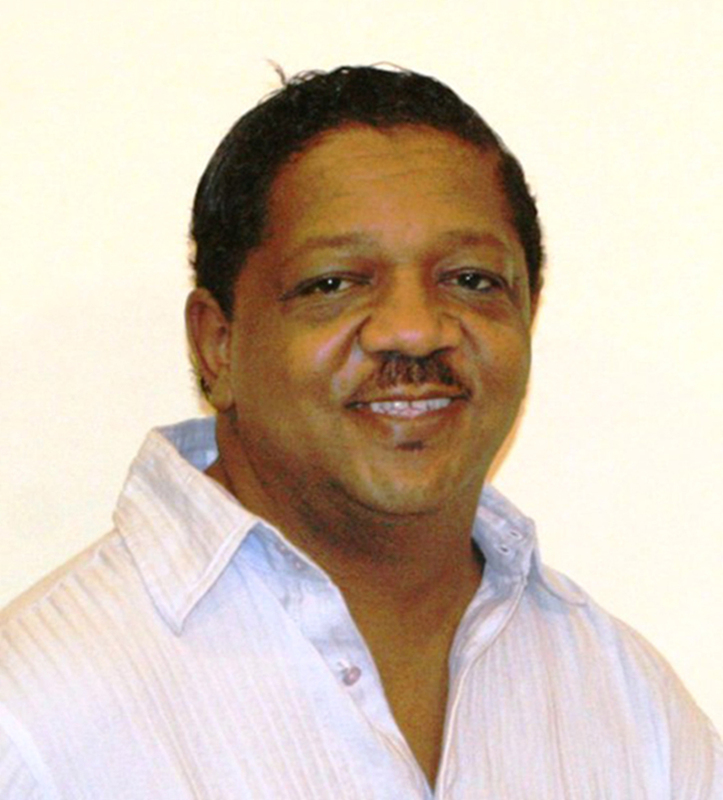 Anthony Lamarr is a novelist, screenwriter, award-winning playwright, and author of Our First Love. He is a graduate of the University of Florida’s College of Journalism and lives in North Florida.